The stage is set for another star kid to enter the Malayalam cinema, this time we have late Malayalam actor Ratheesh's daughter Parvathy Ratheesh. 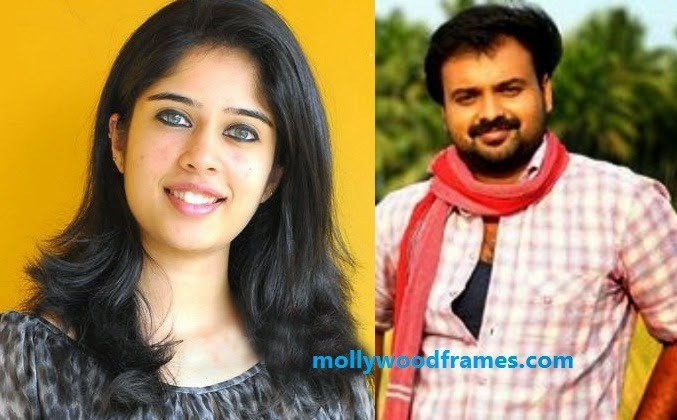 Latest is that she has been signed up as heroine for Kunchacko Boban's latest flick, which would be directed by Sugeeth. only knows Tamil language. Earlier there were reports that Keerthy Suresh had been approached for this role, but due to date clashes she opted out. Reportedly Keerthy's father and producer Suresh Kumar had suggested the name of Parvathy to the makers of this film. Interesting fact about this new project is "Ordinary" film team is again coming up together. After the movie "Polytechnic", Nishad Koya has again picked up the pen to write the script. As per the reports, Kunchacko Boban and Biju Menon are playing the character of taxi drivers. Neeraj Madhav, Suraj Venjaramoodu, Sadikh, Niyas and others include the cast. The shoot of this film is currently ongoing at the location of Dubai. The other location would be Srilanka. Faisal Ali is the director of photography, who beautifully adapted the location of Gavi for "Ordinary". Sugeeth's last directorial movie was "Onnum Mindathe".